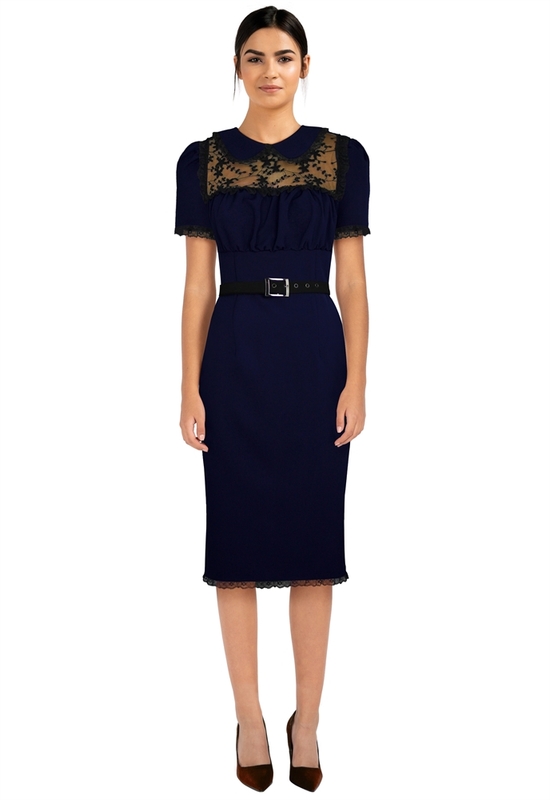 It's a pencil dress with laces in bust, lace trims in collar, sleeves and hemline. Ruffles in bust and a belt in waist. Back center zip. Standard size approx. length: 43 inches; Plus size approx. length: 47 inches.